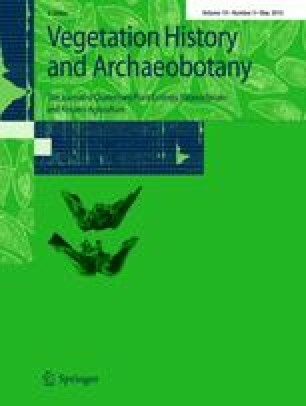 This paper presents a preliminary examination of archaeobotanical material from pigeon dung samples obtained from Byzantine period destruction levels of a dovecote near the site of Shivta, Israel. Such pigeon dung was a valuable fertilizer in antiquity and would not have been abandoned without a reason. The plant remains from the dung provide direct evidence of pigeon diet and the local environment during the Byzantine period. Eleven plant taxa, represented by either seeds and/or plant parts (cereal chaff material), including five wild taxa, one legume, four fruit/nut taxa and several unidentified seed fragments were recovered. The most common seeds found were from weeds of the genus Thymelaea sp., and Ficus (fig). The finds indicate that the birds in the dovecote consumed a mixed diet of wild seeds including Thymelaea sp. and Fumaria sp. (fumitory), and small fruits of Vitis (grape), Ficus (fig), Olea (olive) and Phoenix (date). The sample analyzed also included Rumex (dock), Carex (sedge) and Androsace which may not have come from the feed. Apparently the pigeons were free to forage in the desert, the fallowed fields and refuse piles or/and were intentionally fed agricultural by-products including wild plants. This research is dedicated to the memory of Profesor Yizhar Hirschfeld who loved the desert and encouraged us to continue the Shivta research. Thanks to Baruch Rosen and to Guy Bar-Oz for their helpful remarks.